Why Are Voiceover Classes Necessary? Does Your Presentation Sound as Good as it Looks? Very Real Sounding Is Often Very Dull. It Still Has to be Compelling. © Copyright 2019 Dan Balestrero and MasteringVoiceover.com. Unauthorized use and/or duplication of this material without express and written permission from this author and owner is strictly prohibited. Just how do people read long projects with so few flubs? How can they say the words and have it all make sooo much sense when they are cold reading? Are they just more talented? Are you either born with it or you’re not? They have an ability to process copy visually as if it was their own ideas and relate it verbally as though they were giving a talk that they had memorized. It can be very inspiring to hear some one read like this and a little maddening as well. The good news is it’s a skill you can learn, too. Of course some people have a more natural gift for cold reading, but as you learn and practice these techniques you will become much better at it. Often actors will say to me that they read really well, they just need time to go over the script. Well that works if you HAVE time to go over the script and if it’s not a really long project like an audio book or other long narrative. On a large project you never really remember what's coming up even if you’ve read it 20 times. And… If you don’t have time, which happens often, you need to be able to cold read. Let's review the basic cold reading technique and build on that. Let's say you have a 50 page project to read for a voiceover project. And there hasn’t been much time to study it. You read the entire first sentence before you start the read. Then you start speaking. On the end of the first sentence, as you take a catch breath, you dart your eyes to the right as you start inhaling to scan what you are about to say so you have the next idea in your head, not just the next word. You then keep your eyes 2 or three words ahead of where you are speaking. You never want to being saying the word with your mouth that you’re reading with your eyes. That always turns out poorly because you won’t know what the idea is. On the end of every sentence there is a half second catch breath and you repeat the process of darting your eyes to the right to read ahead while you’re inhaling. After every third or fourth sentence there is naturally a one to two second break because that is how everyone groups their ideas. You use that break to read way ahead. All right, that’s the review of the basic technique. Now let's mix it up. You are going to get a piece of copy and print it out in 14 point copy. And you're going to put one sentence each line. You then cover the first sentence with paper and reveal it just for a second and cover the sentence back up. Now try and say the whole sentence without looking. This will help you store ideas in your head a sentence at a time. It will train you to read a sentence as an idea instead of reading individual words. Do this through the entire page. Practice this several times with the same page. Yes, you will start to remember what the content is, and that is exactly what helps build up your short term memory. But the other thing that happens is it teaches you to recognize a whole sentence as an idea instead of the usual reaction of reading individual words and then assembling the idea as you say the words. This technique of scanning a sentence and forming the idea will lead to great cold reading skills. Now start at the top of the same page and don’t cover any of the sentences. Glance at the sentence and start talking... then keep your eyes two to three words ahead of the words you are saying. These are your training wheels to build up your ability to read ahead. Now combine this technique with taking deeper catch breaths so you have more time to scan ahead. It is very easy to edit out dead space and it takes far less time than editing out flubs. When you practice, take a few seconds to scan a section before reading through a paragraph in this fashion. You can do amazing reads if you will practice this really slowly like you would a golf swing and take the time to make this your natural response. As you get better at managing sections of copy, you will find that you can shorten the length of your catch breaths and still get the idea of each sentence into your head. Remember when you are speaking your own ideas, this works very naturally. Huge blocks of ideas and information are organized and delivered without difficulty. The training of your eyes is very important for you to be able to scan sentences and indeed paragraphs and start recognizing the ideas in groups so that you start speaking the text of the project as if they were your own thoughts. This is the gateway and the technique that will enable you to start reading copy as if you were speaking your own ideas. The implications of this advanced cold reading technique go far beyond being able to read with fewer flubs... it has a profound effect on ones ability to personalize reads… to sound authentic and believable at an entirely new level. The sense of spontaneity will be much improved and people will comment on how natural and believable the read sounds. It is important to emphasize that everyone has different learning styles and preferences about how they acquire new skills. These techniques I’m illustrating are really just a point of departure. You should always experiment with different versions that you invent that adapt these techniques to your own style of learning. This is an indispensable part of learning. No technique in and of itself works perfectly with every individual. Once you have practiced these techniques, start playing with the order and methods and try and find ways to personalize how these techniques work for you. For example, have you ever gone to a golf lesson and played worse???? Well, I have, until I remembered to not try and perform a bunch of rule... but to let the instruction come with me without forcing it. We have to absorb new techniques, not be imprisoned by them. When ever we get too clinical about developing new techniques we run the risk of loosing the freedom required to benefit from improved technique. So, after you’ve practiced these techniques, then try them with almost reckless abandon… many times this helps a person manage a task with the intuitive, subconscious part of the brain which is always free and courageous and more efficient than the self conscious part of our minds that is often tentative because it is afraid of doing things wrong. And finally don’t worry if you feel like you’ve never been able to read very well. These things are just learned skills. Some people develop these skills in school at a young age… and some, of course, learn later in life. The important thing is to just practice these techniques until it all becomes natural to you. This very important skill requires sustained effort to make it a natural skill and you’ll find that it is well worth the time it takes to develop it. Advertisers and casting directors need a wide range of voice types in order to sell to all kinds of people. Sometimes there is a misconception that only dramatic or impressive voices can do voiceovers. That simply is not true. There was a time in the '50s and the '60s when the sound of the “announcer, big, deep voice, was completely dominant, but not any longer. So, if you love speaking and playing with words, if you like language and expressing yourself, you could be part of this very lucrative industry. Your own uniqueness could be the reason you make a lot of money. Often, people try to be like everyone else. In voiceovers, being different can make you rich. Of course you have to fit in to the various styles, but your individual sound can bring a richness to someones project that will be perfect for them. One type of voice might not be able to convey the ideas to a listener, that another person saying the exact same words can explain with perfect clarity. Many times a less dramatic voice is perceived as more accessible. Obviously this depends on the person who is listening, what is being talked about, and what they like. Having said that, if we are seeking assurance or affirmation, then we tend to prefer a more authoritative voice. On the other hand, if we are trying to learn new concepts, or instructions in a new field, a more gentle voice can often help us understand better. Why? Well we sometimes feel slow or foolish if we dont understand something new right away. Its a basic human tendency to want to understand right away and to be impatient about the learning process. Consequently a more gentle, less dramatic voice allows us to relax more and not feel as impatient or embarrassed if we are having trouble grasping a concept. So, there is a need for all voice types. Making money with your voice is a great way to make a living. Many people who are actors ask me “Why does an actor need to take voice over classes to work in VO? Acting skills certainly give a person an ability to deliver lines, so whats the difference? There really are many differences and demands. Lets say there is a need for additional skills. The art of Voiceover or voice acting requires: a knowledge of voiceover styles, the ability to change cadence, tone of voice, range, and the rise and fall of your voice on demand in order to deliver what the client wants. To make a long story short you have to have control over your voice so you dont get fired because you cant take direction. For example, the direction in a voiceover session usually consists of requests to slightly change the tone of voice here, go faster there, take the pitch down on the end of that sentence, speak in a lighter tone on that next phrase, highlight this word a bit more... etc etc. In acting they are rarely scrubbing every line read for you. It can be a bit of a shock at first. Another difference is there is no scenery, no lighting, no costumes/makeup, and no other actors to play off of for inspiration. Voiceover classes teach the art of creating an imaginary world in your minds eye where you see all the things the voiceover is talking about . We are always trying to comply with the request to avoid any hard sell, to make it more conversational. Yet as people back off, the energy drops and the read sounds un-convincing. Very real is often simply very dull. The reads must be completely natural and yet maintain enthusiasm. This requires vocal skill. Those skills are taught in voiceover classes. Voiceover classes provide the workshop where a person becomes aware of the harmonic geography of their own voice, their “Day Voice and how to best use the voice to sell different kinds of products. There is a whole world of style to learn and learning it can make you a fortune. Certain narrations are always done in an intimate voice; other narrations are quick and lively. The booth director or the client expects a voiceover artist to know these things. No one in a voiceover session wants to run a training school. They are too busy trying to meet deadlines. Another reason to take voiceover classes is that it will greatly improve an actors cold reading skills for auditions. When we are speaking, whether we are in an acting scene or on a voiceover job, everything must sound “idea driven. It must never sound like youre reading just the words. Voiceover is another great way to practice the art of sounding like youre present, sounding like you mean what youre saying. 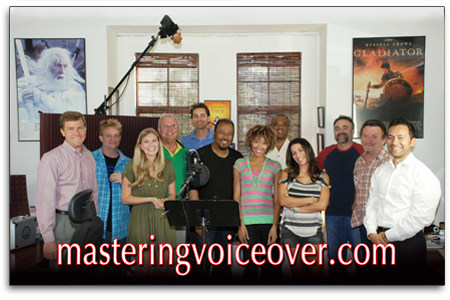 There are many good schools and different approaches to teaching the art of voiceover and voice acting. Its a great idea to explore as many of them as possible. Each approach has something to offer so its a matter of finding what works for you. Whether we are actors, voiceover artists or in any other profession, the human voice is a wonderful musical instrument. We rely on it to transmit the symphony of our ideas and feelings. Our voices provide the point of first contact with people. The more we train our voices the more we can clearly express our ideas both on the job and off. We all want to be able to communicate effectively as voiceover artists, and actors, with people in our professional and personal lives. We all want to do it better and more successfully. Becoming aware of the techniques of speaking, and mastering them, hands us the keys to effective and successful communication which can take our careers to a whole new level of success. The voiceover market is changing very rapidly. There are many new ways to get jobs and many new ways to market yourself to try and get those jobs. You have a number of choices and we are going to cover just a few of them. You can set up your own web site or put your own voiceover demo on one of the many voiceover talent sites. Or you can do both. One of the main newer strategies is to have your own web site, which can be very simple and then pick three or four of the voiceover talent web sites to also put your demo and contact information on. This way you have postings on a number of talent sites and they all have links to your website. Each of these talents web sites spend a small fortune on advertising, so you dont have too. There are literally thousands of potential clients visiting those sites so its very rapid exposure for the new person. You just have to make sure youve got a great demo so you can compete with all the other voices out there. There was a time not so long ago that you either had to be represented by a voiceover talent agency or had to have a friend get you into corporate voiceover work. The internet has changed all of that. Everyone knows that money is much tighter now and many organizations are making use of on line casting rather than going to the more expensive voiceover talent agencies for talent. This means that you want to do as many marketing crossover plans as possible so all the organizations that need voiceover talent can become aware of you. Many of the companies who do educational CD Roms post casting notices online and no longer go through voiceover talent agencies any more. They have discovered that they can get great talent at more competitive prices. When you start thinking outside the box, you will come up with your own bright ideas about where to look for work and turn a lack of representation into an advantage because you can work cheaper and directly with clients. People ask me if they have to be online with a web site or have their demo on a voiceover talent site and the answer is absolutely yes. People have to be able to find you online. Heres a story to inspire you. A little while back a man called me and said he was doing a 30 second commercials for a companys web site and needed a female voiceover artist. He said it was not for broadcast but for web use only and that it payed $1000. On a flat buyout. He asked if I could send him MP3s of 3 women that he could choose from. I said yes, Id be happy to do that. He said, “Well, youre the only one!!!! ! I was a little shocked and said what do you mean. He then started to explain that he had called three different talent agencies in town and they wouldnt submit any demos of talent until he took the time to aswer a number of questions about his project and that all three of them said they would assign him an agent in the next two or three days to handle his project. Well there you have another clear illustration of why more and more people are casting outside of voiceover talent agencies. These are just a few samples of how the industry is changing. Time is money and casting from online is very fast indeed. Now lets move on to another issue. World wide buyouts. Many one or two line ads have involved an international buyout for 60k to 100k. I know of two companies who decided that they would only pay 10k and the other company 20k for two short sentences in each case. Well everyone screamed and yelled, but in the end the voiceover talent who was getting 80k absolutely refused to go from 80k to 10k. How could she accept so little when she had been making 80k... On the other hand, the new person was of course thrilled to get 10k for two sentences... Its still a lot of money. Its important to remember that work can come from the most unpredictable places. Sometimes people think they can only get work if a voiceover talent agency chooses to represent them, that is simply not true. Use your imagination and think where you might network to discover new opportunities. In marketing and advertising, presentation is as important as networking. You are going to the trouble of finding networking opportunities and when you find them you dont want to teach them that you are unprepared or amateurish. I recently watched a voiceover artist talk to the owner of a foundation that wants to hire some voiceover talent. He wanted to read for him on the spot, did so very poorly, and then wrote his name and number on a scrap of paper saying to the man, “I dont have business cards or anything but Im really glad I met you and Id love to work for you. I mean, good grief, who in the world would ever be interested in someone who is that unprepared and sloppy. If you want to be hired by professionals who will pay good money, you must act like a professional who is worth good money. What do your materials look like? Are they clean with a nice design, or have you just printed your name on your demo. Graphic design services can be very affordable and they are a must so your business cards and your demo look like they belong to a pro. Make sure your email address has your name in it! Nothing bugs people more that not being able to type in your name and have you appear in an email address window because you use some “cool name or phrase that isnt your actual name. Save the funky email names like talldude@... for your friends. In business, its about making it simple for people to contact you. You can be excited about your voiceover future, because there has never been a time when there are so many opportunities to do voiceover work, and so many new ways to find them. The Power to Persuade can create unlimited success. Our voice is the engine of that success. We can use it to create empires or a simple successful life or to complain and explain why we are victims. Our tone of voice is very often a reflection of how we view the world. If we are nervous and up tight the voice often has an edge and puts people off. Whether a person wants to be a voiceover artist or more successful in their own profession it is extremely important to look for the good or opportunity in all situations and be patient. The things we say to ourselves control our mood and tone of voice. It is useless to do voice exercises to improve how we sound if we are saying negative things to ourselves because the voice will reflect the sound of mistrust that is in our minds. In order to develop greater ability to persuade people we must practice and be patient. Learning to allow for process is one of the most important things that we can practice in our lives. Process is how the earth was made. Process is how math, science and art achieve all their great accomplishments and inspirations. If we dont allow process because of impatience we are literally making the choice to NOT understand because we have interrupted the process of building up familiarity, understanding and skill. Voiceover artists, teachers, sales people and everyone can become more persuasive and successful as we improve how we speak to others and the things we say to ourselves. Someone in class asked a great question last night. A talented voiceover artist had just finished a great read, and the new person asked a simple but important question. The question was this. What made his read so perfect. There are of course many things that could be said in answer to this question and they would all be correct in their own way. However, I felt at that moment that there was a need to explain in a more global way, a more practical way that would help everyone in class understand that they can achieve their own great reading ability using their own gifts to do just as well. The answer begins with these five words. Patience, Process, Familiarity, Realization, Revelation. Learning to allow time for process is the single most important thing that we can learn in this life. Process is how the earth was made. Process is how math, science and art achieve all their great accomplishments and inspirations. Some will simply say, “well you have to have patience to learn any skill and of course that is true. But it goes far beyond that simple true statement. Becoming good at anything, developing a high level of skill always follows a series of events and processes. .we must use our patience to allow time for process. Notice I didnt say allow process, but allow time for process. People work on a new skill for a bit and then say, I dont know why I cant do this. The brutal answer is, you cant do it as well as you want yet because you havent taken the time to become familiar enough so you can see how to do it. We must allow process to continue so that we can build up familiarity with the task. As we become familiar with the task, we see more clearly. We sometimes unconsciously have no regard for the time it takes to learn. We make a generic judgement... I have put in SOME time so why arent I better. The question isnt have you put in SOME time... The question is have you put in ENOUGH time. Its so obvious its funny and yet this is exactly what goes on in peoples minds all the time. If we dont allow process because of impatience we are literally making the choice to NOT understand because we have interrupted the process of building up familiarity. When we practice Patience, we allow Process. That helps us build up Familiarity, and then we start to Realize whats going on, and then we start having Revelations... about how to do things. t is far more important to have in depth experiences with how to read a few pieces of copy than it is to have perfunctory experiences reading dozens of pieces of copy. Now of course, perusing vast quantities of copy helps you get a certain overview. But learning how to read a piece of copy requires delving deeply, playing with the cadence, the tone of voice. If a person works on a complicated piece of copy that is, say one page long and they read it 20 times and it sounds really good, then that is a great start. But all the learning takes place after you get it about right. If you continue to work on it and read it a hundred times after youve gotten it down pretty well, you will hear it completely differently than you did when you had first, “gotten it right. People simply usually stop when something is pretty good AND THEN wonder why it isnt BETTER!!!!! Once you realize how to read it, you dont want to stop there, for heaven's sake. Realization is the last stage before REVELATION. If you stop at realization you have just made the decision to prevent revelation and that is why you cant do it. Its not that you couldnt do it, you just quit the process before you had gotten to the revelation of what would have been brilliant instead of merely good. Many people have an awful lot of talent and dont go as far as they might have. And a great many people seem to have less talent and go way beyond what we might have thought possible for them. They, through their persistence and determination build up their familiarity to the point that they have greater and greater revelations from their realizations. Sometimes people who have a lot of up front talent are too convinced of the superficiality of the task, so they never get beyond their natural talent that makes it easy for them in the beginning. snap out of it!!!!!!!!! You will understand if you stay with it. will you stay with it long enough to achieve what you want. .. patience is clearing your mind of these negative traits and dialogues so you can concentrate on the process of learning. This process should not involve self critical dialogue in your mind while youre working. Its important to remain observant but neutral while you are working. You just cant have whiney distracting thoughts going on in your head and expect your mind to learn anything. Patience is: detached participation. You are completely focused on what youre attempting and observing whether you are succeeding or not, but you are not saying negative things to yourself WHILE youre making corrections. You are making an effort without the anxiety of fear coloring the attempt. Realization-Always happens when we are immersed in activities that are producing familiarity. If you keep at something you will always start to understand what is going on. Perception is a by product of familiarity. Its how our minds analyze things and come to conclusions and develop skills that enable us to progress in our training. As we get familiar with things, and techniques, we stat to realize the relationship between tasks, and thats when we start to understand the causal relationship between skills and tasks. Revelations-Only occur if we dont interrupt this process. As you keep reflecting on your realizations..that very process will produce revelations that are far beyond your current realizations. The main characteristics and differences between realization and revelations are simply the depth of understanding. A realization may reveal how to do something but a revelation will tell you why, and how and take your skill level to a much higher level because you have connected your intuition to your physical skills in a much more profound way. Your expertise is your ability. Your credibility is your presentation. The ability to present effectively determines your financial success. In fact, everything in life is about vocal presentation. We connect with people, get hired, teach, and close deals based on the effective use and clarity of our voices. Whether youre a teacher, receptionist, lawyer, salesperson, politician, program coordinator, CEO, team leader, doctor, negotiating or interviewing, it is your voice that carries your ideas to people. Success is a voice driven activity. Voiceover artists use techniques that represent the human voice in its most effective natural state. They know how to personalize ideas and sentences in ways that can make them millions of dollars. They are in a word, persuasive. Taking voiceover classes can vastly improve your communication and presentation skills. I just listened to a financial expert give a power point presentation to 200 hundred people in San Franciscos Financial district and it was simply boring. Even though he was an expert, no one talked to him at the reception... bad for business. Everyone seemed to swarm around the presenters who brought energy and life to their presentations. Rapport with people isnt magic, it is composed of certain elements in a persons presentation. Are you ever frustrated because the training youve had doesnt give you the results you want? Whether the training works or not depends entirely on delivery. The secrets for achieving your ambitions are contained in your own voice. All of success in business and personal relationships depends on your tone of voice. Think how often our entire day has been changed by how someone spoke to you. Success is a vocal skill that you can develop. None of it is magic. Its common sense that if you develop your voice and improve your delivery, you can increase the effectiveness of your presentation and have the power to persuade that will give you the edge you need for greater success. People will rightfully tell you that you have to sound more real, more like the person next door. Well of course that makes sense. The person directing the project wants the voiceover artist to sound sincere and honest and authentic. But there is a funny flip side to all of this. I hear a complaint from many pros that I coach, that people will say to them... “No its gotta sound more real! and then they tell me about their frustration that when they try and sound more real, they then often get criticized for sounding lackadaisical or uninspired, or unenthusiastic about the topic. So what the heck is going on? On the one hand a director says be more real, more conversational, on the other hand they then seem to be complaining about the tone of voice when the person follows the directions that are given. Because its a wholesale drop in energy it really just does sound unenthusiastic. So it seems like the read has lost all of its life. When a person tries to be more conversational, not hard sell or not announcery, the effort should focus on smoothing out the delivery and tumbling the speech more so it feels a bit more like a stream of ideas. This makes the energy in the vowels and consonants more even and that is exactly what makes us sound MORE REAL AND CONVERSATIONAL. When we try and become more conversational we are often just backing off on the energy we are using. This usually flattens the amount of rise and fall in our voices, which is what happens when we arent passionate about something. So the proper approach is to talk at low levels but to maintain a slight urgency. There is a greater rise and fall in the melodies we use when we are excited about a product or story. This will usually restore the rise and fall of the voice. Well, heres the task for all mankind let alone a voiceover artist. Whether in a persons business life or personal life, we spend a lifetime asking our selves who we are. Learning how to be yourself requires that we know who that person is, to some degree at least. The advice I give people all the time is to simply say: “Your best chance of getting work is to be yourself. It doesnt matter whether its a voiceover job youre trying to get, or going to the next job interview, be yourself. Its a useful “bumper sticker slogan, but Id like to talk a bit about the process of the discovery and how to relax into that, and how to trust it... and what it means and what it doesnt mean. When we get to a place in our heads where we can “be ourselves the advantages are huge. Life isnt nearly as stressful. We stop being angry. We stop taking things personally and start viewing things as feedback that allows us to make corrections and move on. When we learn how to be ourselves and accept ourselves, we stop criticizing everyone else. The stress of NOT being ourselves or knowing ourselves is exhausting and frustrating. It can create a lot of stress and we can find ourselves acting out on people because of it. So in learning to be ourselves we are UN-cluttering our minds and freeing the hard drive space between our ears to engage in the process of success. When we are comfortable in our own skins people will enjoy being around us. And of course that is very helpful in getting jobs, voiceover jobs, or any job. In these times that is becoming more and more important. This is important to remember. It is not merely about being the most talented voiceover artist, plumber, teacher, sales person, lawyer or dentist. A lot of people could do the actual work, but people hire people that they like the best. The best plan in the world is to like yourself and be yourself. We all enjoy the luxury of taking our voices for granted. We are a bit shocked when we get laryngitis and cant speak. Its a reminder of how important our voice is in our daily lives and how dependent we are on our ability to speak. Id like to talk about healthy vocal production and voice improvement. I get a lot of questions about how much to exercise a voice without abusing it. You only have one voice in this life and it has to last through the whole trip. Vocal Strength and stamina are necessary whether youre a CEO, manager, teacher, lawyer, public speaker or politician. When you are doing exercises you should never do them until your voice is tired and never do them until your voice hurts. You dont want to try and create everything in the same hour or the same day. It is more important to do vocal exercises 5 to 10 minutes twice a day, than to try and set aside an hour. Shorter sessions, more often, are more beneficial than long haul workouts.